The Dos and Don'ts for resettlement assistance service providers. This document has been developed to support RAP centres to recognize, respond, and refer in situations where IPV has been suspected, witnessed or disclosed. 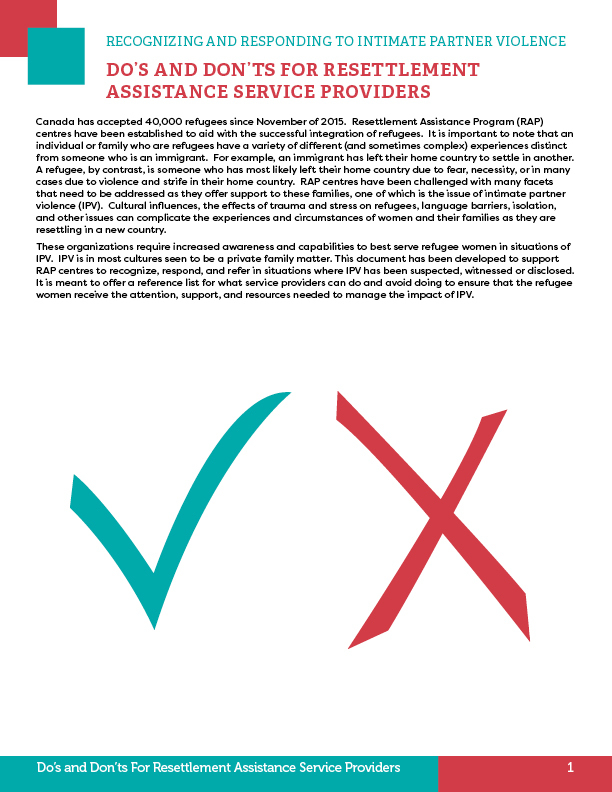 It is meant to offer a reference list for what service providers can do and avoid doing to ensure that the refugee women receive the attention, support, and resources needed to manage the impact of IPV.